Home Best Jumping Media Press Release Jimmy Torano secured the $10,000 Nutrena Open Stake victory at Wellington. Jimmy Torano secured the $10,000 Nutrena Open Stake victory at Wellington. 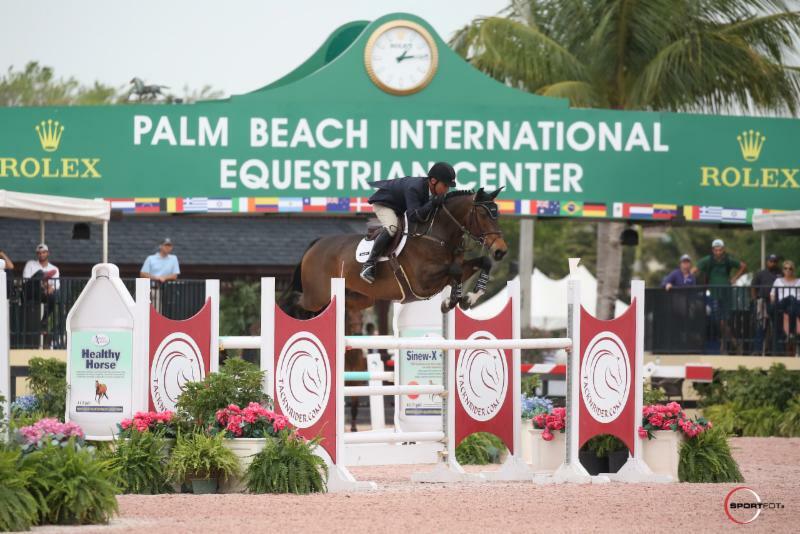 The first week of activities at the Palm Beach International Equestrian Center in Wellington after the conclusion of 2017 Winter Equestrian Festival season, began with the 2017 ESP Spring I and victory for US rider Jimmy Torano. Playing the $10,000 Nutrena Open Stake with the participation of 41 pairs on course designed by the American Ken Krome, Torano managed to qualify for the tiebreaker with 9-year-old gelding Day Dream (Zento x Heartbreaker) to then mark the fastest time in 37.33 seconds of the decisive round and take the victory. The fight for the first place was notorious with diverse results until the fifth position, being the New Zealander Sharn Wordley who will occupy the second place when completing its course in 37.69 seconds with 9-year-old gelding Caiman des Sequoias (Radco D ‘ Houtveld x Feinschnitt-I van de Richter), while the third was for Emanuel Andrade from Venezuela with 10-year-old gelding Boy IV (Sandro Boy x Lansing) in a big show, also finishing fifth and sixth with 11-year-old mare Belita (Ukato x Voltaire) and 15-year-old gelding Walter 61 (Werenfels x Donator 1382). Several Latin American riders also saw action in the competition with Venezuelan Pablo Barrios occupying ninth place, Puerto Rican Vasco Flores in 14th, completing the group Santiago Lambre of Mexico in positions 22nd, 26th and 37th. Previous articleBertram Allen with the first victory of the 2017 Longines Global Champions Tour. Next articleEric Lamaze and Fine Lady 5 unbeatable in the LGCT Mexico.